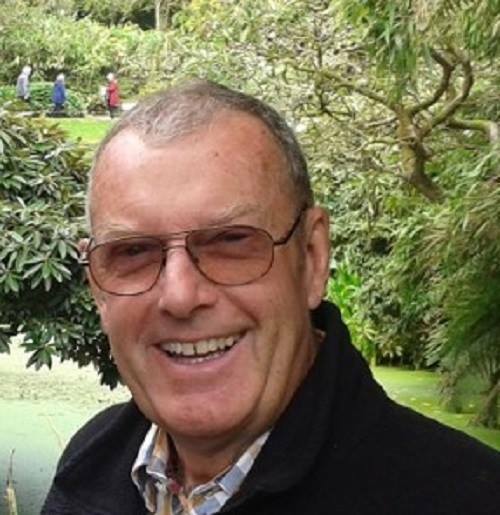 In the Library today we have ­­­­­­­­­­­­­­­­­­­­Michael Wills, who has dropped in to say hello and to share some insights into his life as an author. I grew up on the Isle of Wight at a time when the railway engines really did go cho cho. At school I became an avid reader and I still have my “Head Librarian” badge to prove it. On leaving school, I trained to be a teacher and then spent two years working in a very rural secondary school in Kent. So rural in fact, that children would frequently use the excuse that they could not hand in their homework as the school farm’s goats had eaten their books. I retrained to teach English as a Foreign Language and then spent 13 years working in Sweden before returning to the UK with my Swedish wife and three daughters to start a language school. I sold the school ten years ago and retired. I have a plethora of interests and hobbies, primary amongst them is a fascination with history, especially the Viking period. Apart from spending a great deal of time researching and writing historical novels, I am an amateur radio ham and an even more amateur carpenter. I sail my little boat for two months each summer, and whenever the opportunity arises I thoroughly spoil my grandchildren. Looking back now I can see that as a child I developed a very enquiring mind and this has endured. I read far more non-fiction than fiction. This is especially important as part of the research process for my stories. Although in the past I read books from a wide range of genres, today I read mainly historical books. However, I have to confess that I have a sneaking fear that I will subconsciously “borrow” ideas from other writers, so I tend to avoid reading novels based in the same time period as that which I am currently writing about. Having said that, I have to admit that at the moment I am re-reading the classic Viking story – “The Long Ships”. When I was working in Sweden I wrote and co-wrote a number of English language teaching course books. These were traditionally published. So I am fully aware of the benefits and the drawbacks of working with a publishing house and also the huge time lag between manuscript and finished book. When I started to write novels, the knowledge that thousands of books are published each month and that the field is intensely competitive, daunted me somewhat. At my age, I do not have the time to do the rounds of agents and publishers for several years, trying to get attention. So I decided to self-publish. As I have mentioned, my speciality is historical novels. However, I have tried something else. My wife assiduously reads and re-reads every version of my manuscripts before they go for editing, however, she is not overly fond of historical novels. To provide some relief for her I decided to write a thriller. “One Decent Thing” is currently being edited and I hope to publish it next year. Without doubt what initially moved me to start writing was “places and things”. Let me explain. I have had the privilege of travelling extensively; it was the nature of my work when I had a language school. I took every opportunity to visit places of historical interest and researched them thoroughly. Travel is still the biggest influence on what I write, be it sailing into an old Viking harbour, watching an historical re-enactment such as the Battle of Saratoga or visiting an ancient castle. There is nothing more inspirational for me than experiencing historical environments, seeing or perhaps touching ancient artefacts and treading the ground where my historical characters might have walked. Undoubtedly the rich history of the Isle of Wight, (I went to school just an arrow shot from Carisbrooke Castle), stimulated an interest in the subject. But there was another thing which affected me and many others. It may seem difficult to believe now, but in the forties and fifties, the Island was very isolated and one felt cut off from the rest of Britain. I knew adults who had never visited the “mainland”. This isolation helped me to develop a strong sense of imagination and, as I have already mentioned, curiosity. In my specialisation the most difficult thing is to get the right balance between history and fiction. One has to be absolutely true to the facts without letting them overwhelming the story. When I met the editor who had done a structural edit on my novel, “The Wessex Turncoat”, she suggested that I might be more comfortable writing historical non-fiction. That was a real wake-up call for me. I took the manuscript away and re-wrote it with a much stronger story line. I have this old fashioned Anglo Saxon work ethic, no reward without effort. Thus I have to justify the luxury of my mid-morning coffee with a couple or three of hours of writing. Yes, the mornings are the best time for me. Without a shadow of doubt, the best thing is to have someone tell you that they enjoyed reading your book. The worst thing is that writing is a very introverted activity, a lonely process, natural ebullience has to be subdued, I sometimes find that quite an effort. I resisted getting involved with social media for a long time, partly because I did not understand its value but also, quite frankly, the whole thing seemed a bit like a dark art to me. However, when one of my daughters started a social media company, resistance was pointless. I now enjoy using Facebook and Twitter, though I find the former to be the more useful. Up to no good at all I fear. I really need an outlet for a vivid imagination. However, if I were to be banned from using a computer I think I would dust off my old guitar, learn to play properly and imagine that I really missed my calling in the sixties, or perhaps fritter away the hours with a fishing rod in my hand, day dreaming about the sails of Viking ships appearing over the horizon. What a difficult question! I have considered this at great length and my putative answer ranged from the bible at one end of the scale to Spike Milligan at the other. However, what I eventually alighted on was that I would read my diary. I kept a diary all through the sixties and part of the seventies, and then started again in the nineties. What better way to exit the world than to consider what I did when I was here and be grateful for having lived, loved and laughed through one of the most remarkable periods in history. 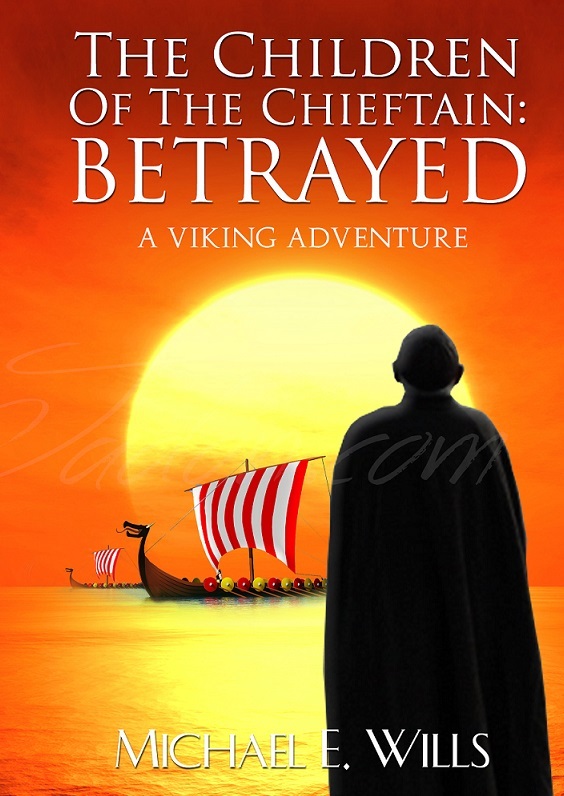 In a sense my career has gone full circle, the teacher in me came to the fore and I decided to write a trilogy of Viking adventure stories for children headlined, “The Childre n of the Chieftain”. The first one, “Betrayed” was published in June and I was delighted to have it chosen by the Historical Novel Society for their 2016 Indie competition longlist. It also gave me a huge thrill to find that the book was being used in some primary schools. To assist its use in schools I have a free download Activities Booklet on my website. 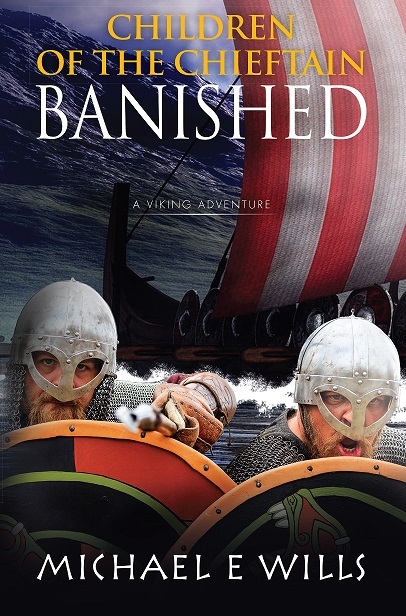 The second book in the series, “Banished”, will be published later this month.